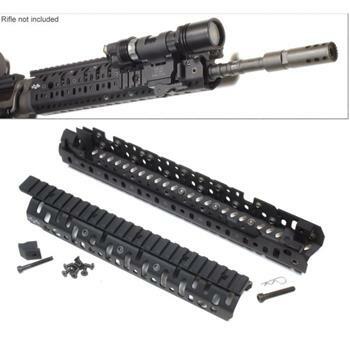 The CASV-FAL handguard is designed for the FAL series of rifles. They mount solidly to the standard inch or metric FAL with a short version for the carbine style FALs. It is mounted at the receiver and barrel to improve accuracy and increase rigidity of the system. Please note that these handguards are not compatible with the G1 barrel configuration or rifles that have bipods attached.